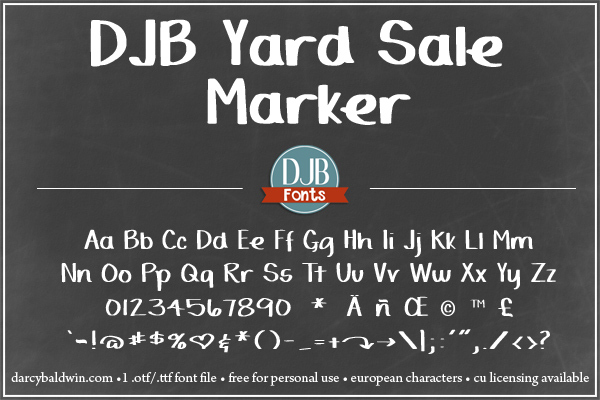 This font harkens to the big fat chiseled markers that you used to love to use when you were a kid. 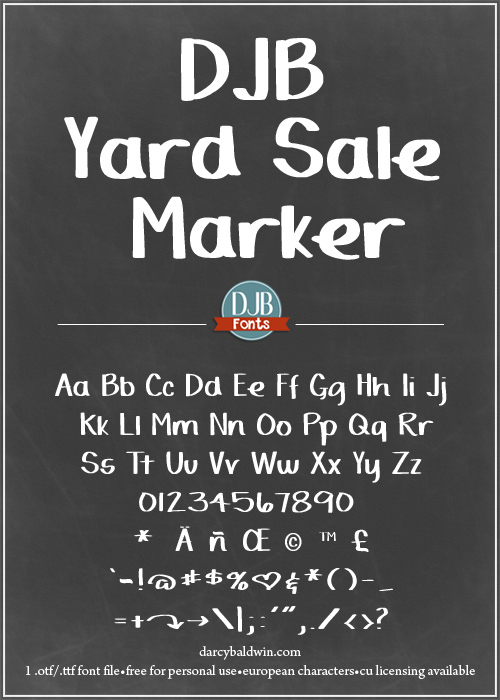 This hand drawn font is full of chiseled edges and thick curves, giving it a unique, hand written look. 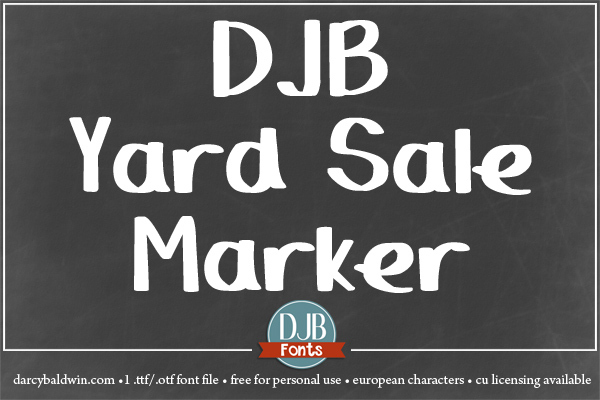 Pin It to add DJB Yard Sale Marker Font to your free fonts boards!